Selected by Metro Nashville Arts Commission as winning design from the artist-designed bike rack competition. 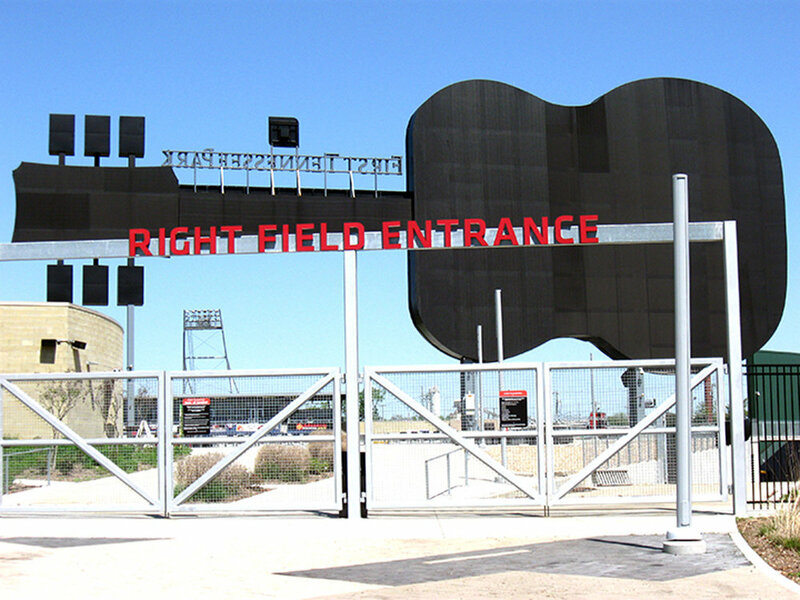 Installed at the new stadium, home of the Nashville Sounds baseball team, in Spring, 2017. See artist info page for details. After site was chosen at First Tennessee Park, the design was reworked to fit the space allotted for the bike rack. Engineering and fabrication by Bellex Inc., Nolensville, TN.